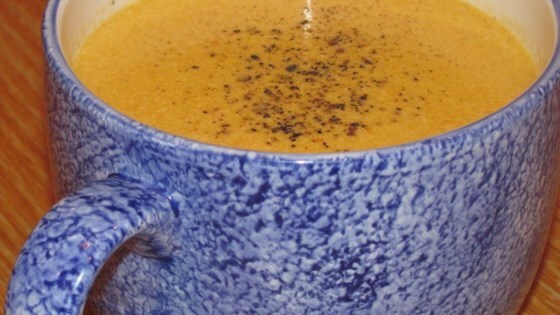 "Here's a great pureed soup recipe that will go over well with vegetarians. It consists of mixed vegetables pureed with cheese in a cream base. I like to add cracked pepper or hot pepper sauce to mine. You can easily substitute any of the vegetables to your liking." In one pan, melt 1/4 cup butter over medium heat. Saute the onion, carrot, celery, pepper, and tomato in the melted butter until soft. Using a blender or food processor, puree vegetables with vegetable broth; set aside. In a separate pot, melt the remaining 1/2 cup butter. Slowly whisk in flour, and then stir in half and half. When warm, slowly stir in cheese until melted. Mix in veggie puree, and serve. Very good! A great way to use up fresh vegetables.